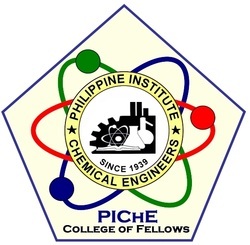 This is the Official Website of the PIChE College of Fellows. The College aims to bring together past PIChE presidents and outstanding Filipino chemical engineers. The PIChE Fellows pledge to harness their expertise and abilities for the purpose of inspiring interest in chemical engineering, and promoting the profession. They shall serve as resource persons on special topics or projects, and shall render other forms of assistance to PIChE, serving as models for other chemical engineers to emulate. This website shares with the public the mission and ongoing activities of the College, and it shall serve as a medium to attract more members and to foster continuous communication and collaboration among its illustrious members.